Drapes are an essential piece of home décor that can transform almost any room. Not only do drapes serve an aesthetic function, but they are critical to making a home livable. Without a proper set of curtains or drapes, a home's privacy can be compromised. Window coverings are also great for regulating temperature in a house by blocking the hot sunlight or insulating the harsh winter cold. Not only can drapes keep the peeping toms at bay, but they can save you some pennies each month on your utility bill! This makes the affordable cost of dry cleaning drapes more than worth it, especially at our low curtain dry cleaning prices! EcoClean offers first class cleaning services for your prized draperies. Our wet cleaning process is sure to maintain your decorative drapes in pristine condition for an impressive and put together look in your household. In addition, you never have to worry about harsh chemical smells filling your home once your drapes are returned after a thorough refreshing at EcoClean. Our environmentally friendly process uses gentle but effective detergents that leave your curtains smelling fresh after a thorough curtain dry cleaning. Not only are drapes an important and, many times, expensive part of a home, but they can be difficult to wash due to their bulk. So why burden your back by toting around stacks of draperies, when you can delegate to the drapery cleaning service experts at EcoClean in Austin, TX? The great thing about using dry cleaners that clean drapes to spruce up your curtains is that you can combine chores! 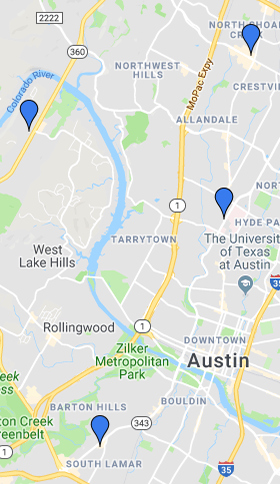 If you're searching for "drapery cleaners near me" and you're in Austin, TX, contact your local EcoClean for more information!